After three consecutive sell-out Australian tours, comedy queen and RuPaul's Drag Race champion Bianca Del Rio returns to Australia in 2019 with her brand-new comedy show, It's Jester Joke. The self-proclaimed "clown in a gown" tells tales of her world travels and the outrageous circus that is her life. Sure to keep audiences in stitches with her comical "tell it like it is" views, covering life from politics and travel to family and social media. It isn't all fun and games, though. There is an important life lesson to be learned through this fearless comedy show...sometimes we all just need to lighten the f**k up! Touring to Brisbane, Canberra, Melbourne, Perth and Sydney next February, tickets are on sale now. 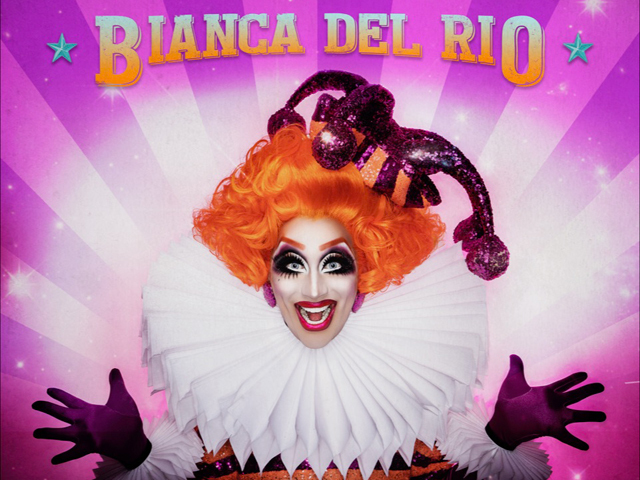 Audiences will be given the option of show-only tickets or VIP packages, which include premium seating, a meet-and-greet with Bianca and a signed It's Jester Joke Australian tour poster.